The Ghost Gunner 2 allows you to build at home, legally, firearms from 80% receivers. We can also provide armorers classes on AR15/10 platform and Glock. Is manufacturing a firearm legal? In general, yes. Semi-automatic firearms, including the AR-15 lower receivers, are generally legal to manufacture for private individuals under federal law. However, some states/municipalities restrict either the manufacture of certain firearms, or, more recently, the personal manufacture of a firearm with a 3D printer and/or CNC machine. GG makes no claim regarding your local manufacturing legalities. In some localities, lower receiver files provided by Ghost Gunner may require special licensing to manufacture and/or possess. Under federal law, manufacturing firearms for purpose of sale and distribution without an FFL is prohibited. Without an FFL, you should manufacture firearms for personal use only. 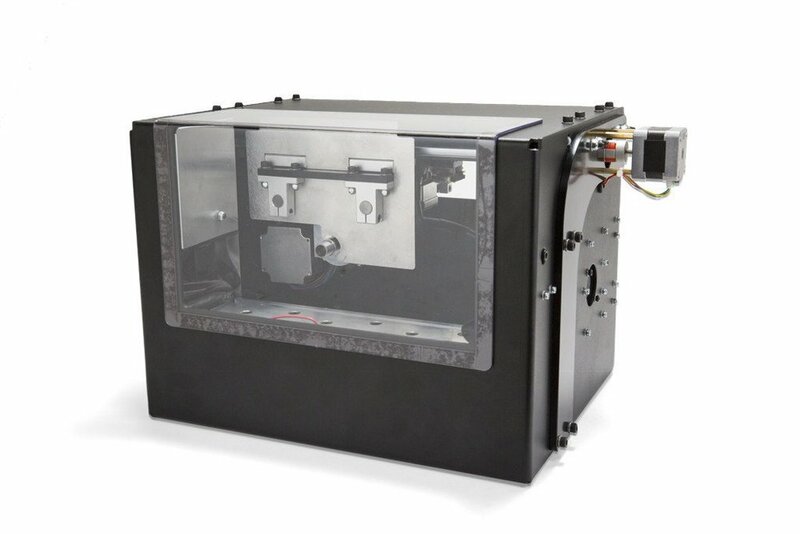 Recent ATF determinations have signaled that allowing others use of your CNC equipment may itself constitute manufacturing, therefore Ghost Gunner advises GG owners to neither print firearms for other individuals, nor allow other individuals to use their Ghost Gunner to manufacture firearms without the advice of counsel. What is included with my Ghost Gunner? Ghost Gunner CNC, 6’ USB A-B cable, 6’ NEMA 5-15/IEC C13 three prong power cable, DD USB drive, 17mm wrench, 12mm wrench, 4mm ER11 collet (4 mm ~= 5/32”), 1/4” ER11 collet, 1/4” V31620S end mill, 5/32” 3.125”OAL drill., 3mm ball-end allen wrench, ER11 collet nut, Grip bolt, M4 T slot nuts (x3). Which 80% receivers does Ghost Gunner use? GG2 can machine any mil-spec AR-15 or DPMS 308 lower receiver with a pre-milled rear take down well. It also accepts 1911 single stack government and Polymer80 specter frames. Note: you can also program the machine to finish your own custom jobs. We cannot currently recommend anodized lowers or frames.